There is no established treatment for repairing the damage to cardiac tissue caused by the 785,000 new heart attack cases each year—yet. Karen Christman’s lab has developed a new injectable hydrogel that encourages cells to repopulate areas of damaged tissue, and to preserve heart function by forming a scaffold to repair tissue and increase muscle. Dr. Christman received her B.S. in Biomedical Engineering from Northwestern University in 2000. She then moved to California for both her graduate work and postdoctoral studies. She received her Ph.D. from the University of California San Francisco and Berkeley Joint Bioengineering Graduate Group in 2003 under the direction of Dr. Randall J. Lee at UCSF, where she examined in situ approaches to myocardial tissue engineering. 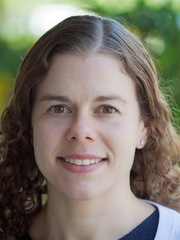 She was a NIH postdoctoral fellow under the direction of Dr. Heather D. Maynard at the University of California, Los Angeles in the fields of polymer chemistry and nanotechnology. During this time, she developed novel methods for site-specifically patterning proteins into 2D and 3D structures. Dr. Christman joined the Department of Bioengineering in 2007 and is a member of the Institute of Engineering and Medicine at the University of California, San Diego. 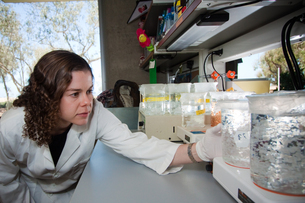 Her lab focuses on developing novel biomaterials for tissue engineering and regenerative medicine applications. Projects are highly interdisciplinary and include the development of materials for in vitro differentiation of stem cells to injectable biomaterials for tissue repair and regeneration. The lab has a strong translational focus with the main goal of developing novel minimally invasive therapies for cardiovascular disease. Dr. Christman is co-founder of Ventrix, Inc., and has received several awards including the NIH Director’s New Innovator and Transformative Research Awards, the Wallace H. Coulter Foundation Early Career Translational Research Award, the American Heart Association Western States Innovative Sciences Award, and the Tissue Engineering and Regenerative Medicine Society’s Young Investigator Award.